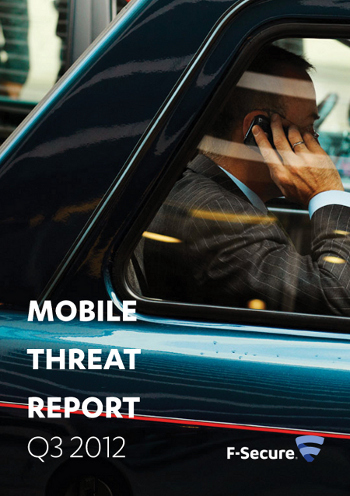 Our Mobile Threat Report is out, covering mobile threats found throughout the third quarter of 2012. 67 new families and variants of existing families were discovered, and some platforms that were previously enjoying quiet time (e.g. 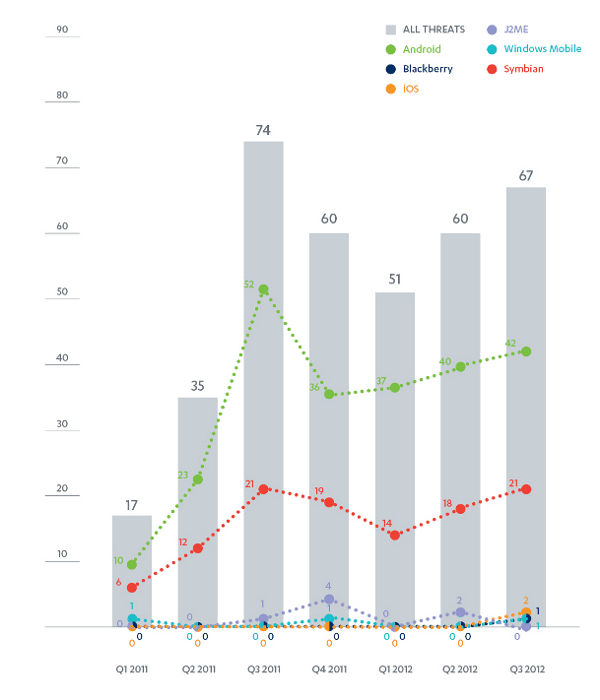 iOS, Windows Mobile) are now seeing their peace disturbed thanks to the multi-platform FinSpy trojan. More details are available in the full report. Grab your copy here [PDF].